• Tenants will end up paying nothing. They’ll always vote for increases. As regards the fourth bullet point, see also Landlords will pass on all the tax to their tenants. It's either one or the other but it can't be both, and in fact it's neither. The two arguments cancel out. 1. "LVT is a tax on aspiration"
No it's not. Income tax and PAYE are taxes on "aspiration". The point of earning money is to have a nice life. Having earned some money, people want a nice house, a nice car or two, nice holidays etc. All of these things cost money; shifting the tax burden from output and employment reduces taxes on aspiration, it does not add to the cost of buying a nice house, and it reduces the cost of cars and holidays. The Home-Owner-Ist system is a pyramid scheme. So of course the people at the top get big payouts, that is what people really aspire to, winning the land price lottery. And they are trying to sucker people into paying their entry fee. By definition, only a small minority can be winners under the scheme and everybody else is paying for their trickle up winnings. Unfortunately, it is impossible to opt out of the scheme - if you don't own land then you are paying rent to somebody who does, so a lot of people are prepared to overpay in order to get onto the pyramid. So who are the people who are doing the "aspiring" here? It is the people outside looking in. The people at the top aren't aspiring to anything at all, they are just sitting on their handsome source of unearned payouts and can sit back and relax. And who is doing all the work? It is of course the people outside looking in or the people scrambling to get on or climb up the pyramid (it is impossible for everybody to be climbing up, if we were all landlords, there'd be nobody left to be a tenant, but it doesn't stop them trying). And who is paying all the tax? It is the people doing all the work, who are the people also doing the aspiring. So a more accurate statement is roughly as follows: "Taxes on output and employment are taxes on aspiration. LVT is a tax on those people who can't be bothered going out to work". 2. 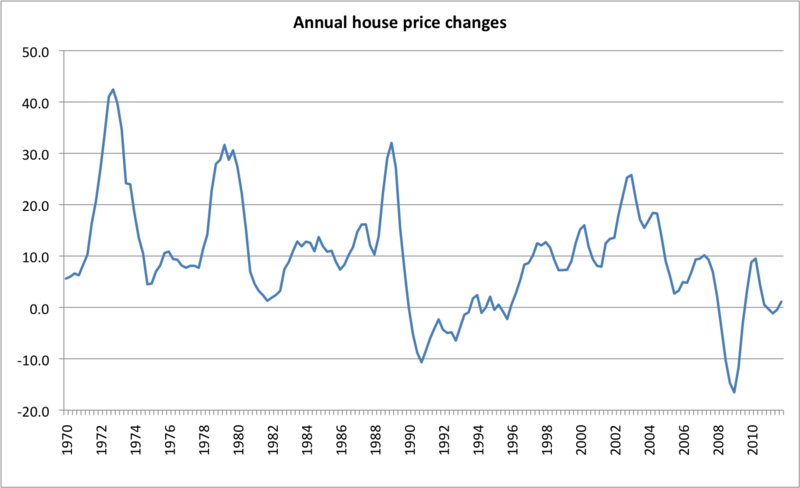 "LVT is a tax on savings and thrift"
a) There is a clear positive relationship between house price increases and mortgage equity withdrawal, and there is also a clear enough negative relationship between house price increases and the household savings (mortgage equity withdrawal is dis-saving). LVT would keep house prices low and stable, which would in itself encourage real saving (there'd be no debt-fuelled land price speculation) and if people want to stay in the same house all their lives, they would have to put more money aside to tide them over during retirement. Research by Robert J. Shiller, who made his name warning of irrational exuberance, and his colleagues Karl E. Case and John M. Quigley, published by the National Bureau of Economic Research, confirms how house prices drive consumer spending. Their numbers relate to America, but they would undoubtedly also apply here; the authors discovered that changes in house prices have a larger impact on spending than changes in share prices, and that increases in property prices boost consumption by more than crashes cut it. They found that an increase in real, inflation-adjusted housing wealth, of the sort seen in the US between 2001 and 2005, pushes up household spending by 4.3 per cent in total. A housing crash of the sort seen in 2005-2009, slashes consumer spending by around 3.5 per cent. There are usually two ways in which house prices impact spending: home owners feel richer; and they are able to extract equity by remortgaging or downsizing their homes. A household "saves" when it earns more money that it spends. If it starts spending more without earning more (i.e. on the back of a credit bubble) then that is quite simply the opposite of "saving". c) The Home-Owner-Ists have another stealth tax on savings, which is inflation and negative real interests, which transfers wealth from cash savers to banks, borrowers and land owners. With LVT in place, there would simply be no incentive for the government to stoke inflation and depress interest rates. And land itself is not "savings", how can it be, it is just there. With LVT, land will be (from the point of view of the household) just another item of consumption. If people are really thrifty, they will consume less land, unlike under Home-Owner-Ism where trying to own as much land as possible is seen as "savings and thrift". All these people are doing is collecting rent and pushing up the price of land for everybody else, i.e. making it even more difficult for other people to build up savings. 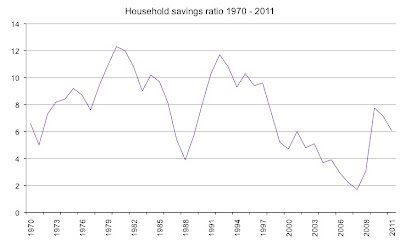 The net impact of Home-Owner-Ism on real savings (in the sense of households deferring consumption to a rainy day) is very negative indeed. d) A lot of the Home-Owner-Ist wailing when the Mansion Tax was suggested was about Poor Widows In Mansions who had seen their homes rise in value for reasons beyond their control (thus contradicting the claim that Landowners create their own land values). For sure, some people bought houses in west London for a few thousand quid in the 1950s which are now worth £ millions (fewer than 15% of such houses have been owned-occupied by the same people for more than twenty years, most of them cashed in and cleared off long ago); but there are plenty of Poor Widows elsewhere in the country who bought a house for a few thousand quid in the 1950s which are still only worth £100,000 or £200,000. Both Poor Widows worked just as hard to pay off the same amount of mortgage. How can the ones in west London be said to have worked and saved harder? Given job opportunities and so on, the ones in west London probably had it easier, if anything. 3. 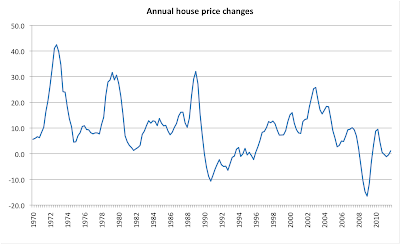 "LVT will increase the cost of buying a home"
No it won't. It will be much easier to buy a house. a) With VAT and NIC gone, potential FTB's (who will save more from the reduction in taxes on output and employment than anything they pay extra in higher rents) will have much higher disposable incomes to start with. b) LVT would act exactly the same as higher interest rates in pushing down the purchase price of housing. Any tax on housing does not significantly change the overall cost of buying a house. In the UK, Council Tax is more or less a small Poll Tax and so it is difficult to calculate by how much it depresses the purchase price of housing. c) In the USA, "property taxes" vary widely from state to state and from county to county within each state. Published figures on property taxes, house prices and earnings in New York State show that $1 extra on the property tax pushes down the purchase price of a home by $17. d) With a twenty-five year mortgage, the total repayments are double the amount of the original loan. So over the mortgage term, the purchaser saves $34 in mortgage repayments (privately collected tax); saves $25 in income tax and pays $25 in property tax. So by the end of that period he is well ahead of the game. What the savings (or additional costs) are over the rest of his life depends on how many years he continues working after that, what his retirement income is and so on. e) If a tax on home ownership increases the cost, then a direct subsidy to home ownership would reduce the cost, wouldn't it? 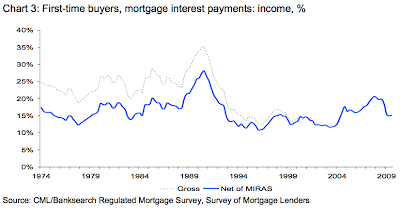 The UK had such a subsidy ("MIRAS", tax relief for mortgage interest) which was phased out during the 1990s. 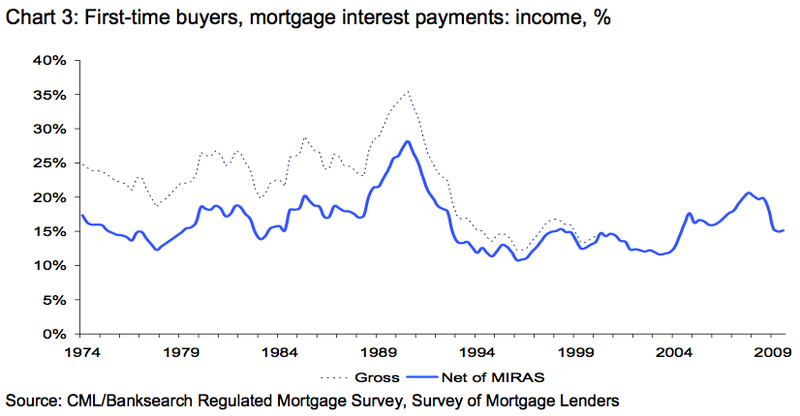 So if the subsidy had reduced the cost of buying a home rather than just pushing up prices, then the cost of buying a home (as represented by mortgage interest as a proportion of salaries) would have gone up once MIRAS was phased out. 4. "Tenants will end up paying nothing. They’ll always vote for increases." a) Private tenants (20% of households) are already paying LVT of course, it is just that their landlords are pocketing it rather than paying it over as tax (thus enabling other taxes payable by tenants to be reduced). So yes, tenants have nothing to lose and everything to gain by voting for LVT increases. This would also push down house prices, making it easier for them to become owner-occupiers. b) For social tenants (17% of households) this is a bit of a two-edged sword. Logic would dictate that social rents and LVT are pretty much the same thing, so LVT increases would mean higher social rents. c) This argument completely overlooks the fact that we live in a democracy and landowners are in a majority; 63% of households are owner-occupiers (half of them with, half of them without a mortgage) and a few per cent are also landlords. d) We know that all the major political parties in the UK make a great show of promising that they will increase Council Tax by less than inflation, i.e. is being reduced in real terms. Even tenants go along with this because they don't realise that any Council Tax increase will always push down rents in equal and opposite measure. e) But if tenants aren't paying the LVT (which they would be, directly or indirectly), then who is? Their landlords, of course! If landlords think that LVT takes too much of his rental income, then he is free to sell his rented homes and invest the proceeds more profitably elsewhere. And to whom will he sell them? To the sitting tenants, of course. So if tenants voted for increases, we'd end up with fewer tenants and more homeowners and it would all find its equilibrium within a couple of years. 5. "Homeowners will end up paying all the tax"
This is clearly complete nonsense; most homeowners will end up paying less tax. a) If you try out the online app, you will see that most working owner-occupiers will end up paying a lot less in tax. The only ones who would pay more are those with particularly low earned income relative to the value of the house they own, i.e. Poor Widows In Mansions, which we have covered elsewhere. Of the majority of UK adults who are owner-occupiers, a majority are still in work and they would nearly all benefit. 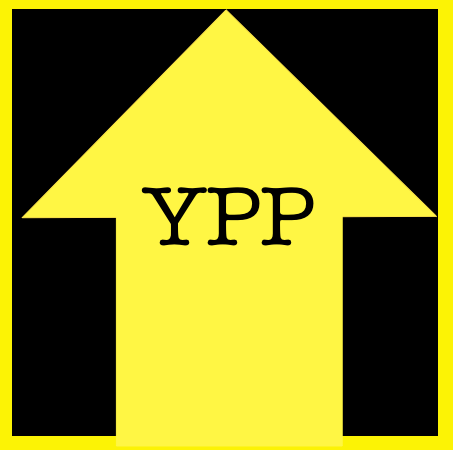 Younger owner-occupiers will benefit most (because they will save most tax in the long run and are more likely to want to trade up in future) and those nearing in retirement will vote for the status quo (having already banked the tax and rent savings over their lifetime, they are unwilling to give any back), unless of course they are enlightened enough to take their children and grandchildren's interests into account. Unfortunately, most of them aren't. b) Three-quarters of privately owned housing is owner-occupied and one-quarter is rented out. Seeing as the LVT would be the same whether a home is owner-occupied or rented out, homeowners would be paying three-quarters of the LVT collected from privately owned residential land and landlords/tenants would be paying the other quarter. The LVT payable by social tenants would be included with their rent. You might as well argue against income tax or insurance premium tax or air passenger duty on the basis that these taxes are largely borne by homeowners. Well of course they are because homeowners are (still) a majority of the population. Request for comment - it would appear to me that the people that a LVT would penalise the most are young people who have just bought their first house. With the introduction of a LVT, their equity in the house would be destroyed as house prices dropped. At the same time their outgoings would increase by a significant amount. You reference a 3% LVT quite often. Imagine a 160K house, bought with a 25% deposit (aka, sensible, responsible couple buying a reasonably cheap house in the south). This results in a mortgage of around 600/month. Your 3% LVT adds a monthly payment of £400 a month, call it 1K total. So at the same time as wiping out their equity/savings you massively increase their outgoings. You quote a 17:1 reduction in prices from the US. So 17*.03*160000 = ~80,000. That implies that you've just halved the value of the house, putting them 40k into negative equity. To be fair, that means that you've only increased their outgoings by ~200 a month. Regretfully I'm not in a position to look at your spreadsheet from where I am, but how long do you think it would take for such a couple to return to their previous position, after the application of such a tax? Or do you plan some rate other than 3%? Hi mark. Apologies for delayed response. Anyway, where for our hypothetical couple. Continuing the theme of a dull, sensible couple, they have a combined income of £40K. Now, trust me here, they pay about 20%, overall. (Ok, 18%. But close enough). So for you 10-12K figure to be correct, they would need to no longer pay 18K of tax elsewhere. Unless I've missed something somewhere? I set up a tax calculator on this blog to save arguing about who wins or loses how much if we shift taxes from production to land values. That's what this is all about. Scroll down a bit here. Don't pretend that income tax is the only tax they pay, you can treble it for NIC and VAT and other stuff. There is a problem with that calculator. Feed it an income of £20k for a single person and it reckons that, under the current rules, they pay £6880. This is near double the correct figure - £3445. I fully accept that there are other taxes, but that's both NI and income tax. Unfortunately I can't see the formula, to understand what's going on. Could it be that you are using old tax thresholds? For example, there could be an assumption that the rest of your income is taxed at 20% or something. Is is an arguable assumption - and one that I'd accept for debating purposes - but it needs to be declared. No there is no problem with the calculator whatsoever don't start that game. You can see the workings by scrolling to the right columns E to H.
Add together income tax, two layers of NIC (25.8% x £12,000-odd), another £1,600 for VAT (10% of gross) and 1% of value of home you occupy and there's your tax bill. By all means tell other people that my calculator is wrong if you are anti-LVT or pro-large state, but don't tell me it's wrong because it isn't. Your calculator assumes that the personal tax allowance is £8805. It's now £10k. At least, that is the number that gives £0 PAYE tax. Not including NI. Secondly, I *like* the idea of a LVT. But getting the numbers right is important. So - seriously, give me the benefit of the doubt and look please. No it's correct in all but marginal situations. If you want to calculate income tax + employee's NIC for basic rate taxpayers at 2013 rates and allowances, knock off £8,805. As to getting the numbers right, let's not bicker about a couple of hundred quid here or there. The vast bulk of the working households would be thousands of pounds a year better off. Whether that's ten thousand or eleven thousand is neither here nor there. I can't see the 9234/8805 figures, but I'm perfectly happy to accept them as approximations. In terms of the approximation, I do have an issue - that 20K - 25K is an edge case for the approximation. Given that this income bracket covers about 10% of the population, it's a little concerning. I accept that we've (ok, I) have got a little sidetracked over these numbers. Could I just suggest that you might want to add a note, something like "For calculations, see columns E-H, figures based on tax year 2012/2013". Would stop people like me being side tracked by details of tax allowances. Our typical family that's being debated here would be out of negative equity in 4 years. In 6 years they would be able to put down a deposit for a house the same size they bought 6 years ago. But that's only if you exclude the effect of the mortgage payments. As my opening post indicated, with your numbers indicated that the house value would about half. So call that half the mortgage, since half the value was lost... that's a minimum of 300/month. So rather then being ~10K better off, as your numbers assume, they would be about 6K better off. Which means that they're out of negativity in 40k/6k = 7 years. Assuming they needed a similar deposit, at the new market prices (aka, 25% of 80K) that's 20K. So, under this system, our classical family is completely unable to move for 10 years. That's a decade of stress and financial crisis inflicted on a family trying to do the sensible thing. Can you see how this might be considered a broken implementation, based on this? BT, yes, it is all approximations. 1. But the £9,234 figure works out perfectly for people in the £15k to £40k bracket which is the majority. 2. Is Employer's NI entirely borne by employees? I assume so but I do not know. But I covered that point here. 3. Would house prices halve under the tax reform proposed here? I very much doubt it, clearly they'd dip a bit but the effects of LVT and taxes on output would largely cancel out. 4. As to negative equity, this is a psychological thing. So my suggestion is, if people have a £150k mortgage at 4% interest on a £100k house, the bank just has to replace this with a £100k mortgage at 6% interest. The borrower makes the same repayments to the bank each month (out of a much higher disposable income) and it all sorts itself out. There's no particular stress involved, it's not like the existing house price and tax madness doesn't place everybody under 40 under huge and massive stress, is it? But that's permanent, under LVT it's a one-off adjustment. I can't help thinking that you are anti-LVT. Are you Flashman? 1. As I said, I accept the point for sake of argument. 2. No, not entirely. Or, at least, not provably. It's split, and which way the final numbers fall is uncertain. But again, was accepted for the sake of argument - it's not a critical point to me. 3. Yes, house prices would fall. Somewhere in your blog there is a reference to a US study that showed that a regular payment decreased the price of a house by 17 to 1. I'm afraid I can't remember on which page it was - but it was from this blog. 17 * 3% = 49%. Half for all practical purposes. 4. No, no it's not "just a psychological thing". Your loan is secured on an asset worth left then the outstanding balance. If you sold it, you would not have enough money left to repay the loan. When you try to get another mortgage the bank will refuse to lend to you - because you owe a shedload of money, and have no deposit. I politely suggest you find a friend or colleague who as been in this position and ask them of their experience. Further, your banking solution requires the banks to right off large amounts of loan. We've had experience of what happens when a large body of mortgages suddenly becomes worthless - see US sub-prime. 5. I'm not against the concept of LVT. But in querying the figures above and my rough numbers... I'm against your implementation. The size of the shock to the personal finances of the nation are dangerous. Massively so. -Announce that in 5 years we will introduce an LVT at 0.1%, increasing by 0.1% per year for 29 years. -As LVT income increases, remove other more destructive taxes. Starting with NI, abut moving on swiftly. The effect on housing prices will be significantly slower - there will be time for the market to adjust more gracefully then a massive slump. Everyone has time to understand the implications, rather then a massive financial upheaval that would destroy the assets of millions. 6. I am not "Flashman", nor do I know who he is. My handle is associated with my blog and has something like a 5 year posting history. This is no sock puppet account, just someone who isn't wholly convinced. But I do like the idea, in principle. Implementation though - that's hard. Note, I'm deliberately following the links, reading and not responding, as we're not really arguing about that degree of fine specifics. You've made very large assumptions in places which I would challenge.... and our posts are currently long enough as it is! BT, nowhere on here have I said that we could or should do the tax shift overnight, ideally this would be over five to ten years to get us to the half-way house system proposed. Introducing 0.1% LVT in five years is far too timid and will never happen, by then the government will have changed. In any event, if we replace all existing taxes on residential land and private wealth (council tax, SDLT, Inheritance tax and all that sort of thing, raises £50 - £60 billion), you could have a flat annual tax of +/- 0.9% on the value of housing, payable by the owner, and there would be very few winners or losers (ignoring the timing of payments - we can sort that out for pensioners with a roll up option). That £50 - £60 billion = LVT of approx. 25% of site premiums, which is a good start. Call it 25% of site premium or 0.9% to total selling prices, comes to much the same thing. "3. Yes, house prices would fall. Somewhere in your blog there is a reference to a US study that showed that a regular payment decreased the price of a house by 17 to 1." Yes indeed, that is what local property taxes in the state of New York (for example) suggest. However, in that case, sales taxes and total income tax are probably pretty much the same state-wide. So it only tells us what happens if land taxes are increased by $1 with no change to sales or income tax. It does not tell us what would happen if land taxes were increased by $1 and sales or income tax reduced by $1. In that case, the impact on selling prices would be smaller or even negligible (nobody knows and it is not relevant). 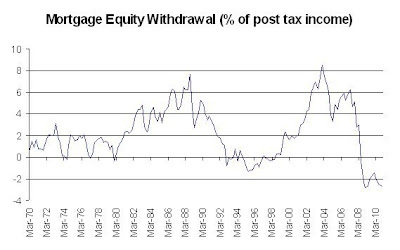 And negative equity is a one off transitional issue. Once LVT has been embedded, like Poor Widows in Mansions, it becomes a non-issue. Not that it is much off an issue anyway. 20 year mortgage currently. All paid off <10 years LVT.